FS Group and the Hungarian State Railways MÁV Co. signed a MoU on the development and implementation of technical and innovative solutions in rail infrastructure and transport, commercial development of stations and training, along with increasing traffic flows between Hungary and Italy for transporting passenger and goods. 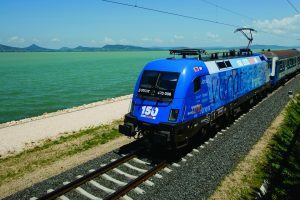 The collaboration between FS Italiane and MÁV was promoted by the Italian Embassy in Budapest, which organised a meeting at Innotrans, along with a preliminary meeting in Budapest. Amongst the upcoming appointments is a visit to Italy and the commencement of railway staff training courses.